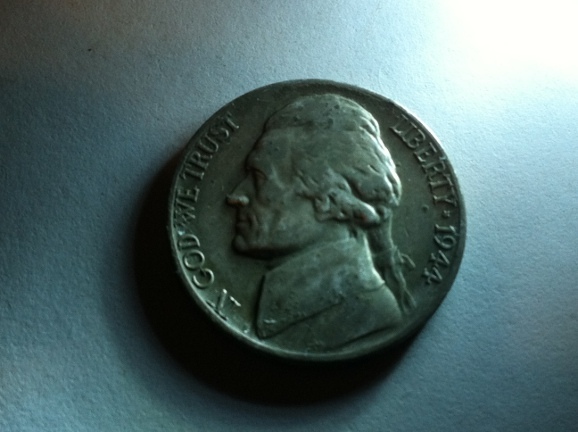 War nickel. I love these guys! 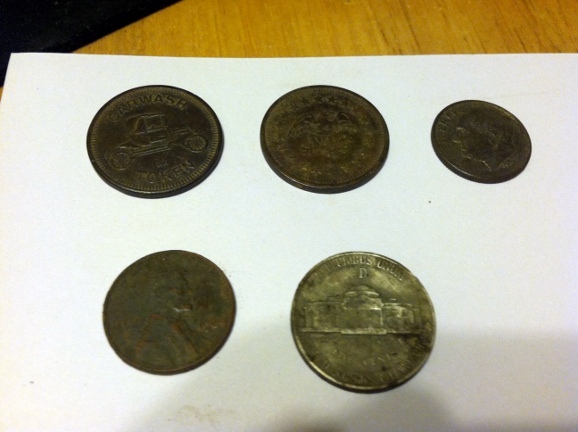 After work, I stopped at the old trashy park (Riverside) for a quick 30 minute hunt. I found a couple of No Cash Value tokens right away, then I hit a signal that could have been anything really, but my V3i said the thing was 6 inches deep so in spite of the signal being broken up and ugly, I dug it. And boy! Am I glad I did! 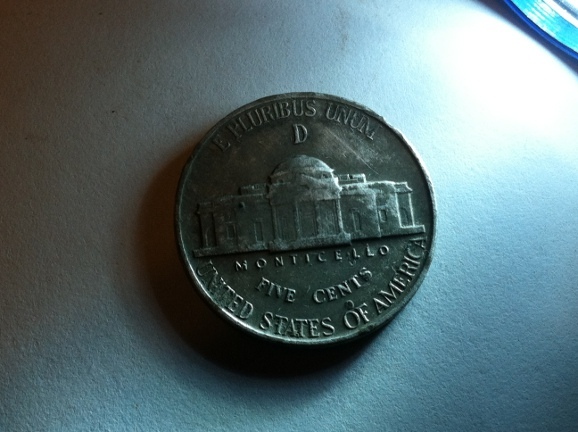 This is only the third war nickel I have ever dug up and the first D mint mark. The last signal I got was a very iffy, here-gone-and-here-again signal. The park is carpeted with iron and it makes for a very interesting hunt. Anyway, I know the park now and I am beginning to know when a signal may be a coin. 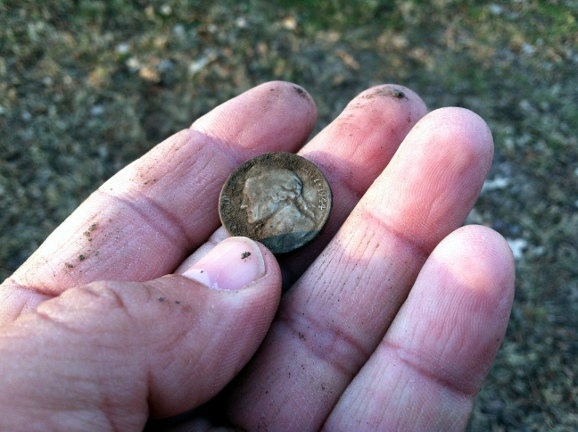 So I went for it and at a little over five inches deep, I found the 1964 Memorial penny. It gives me lots of hope that I may find my Seated coin in this park. I know it’s out there, semi-masked by iron and giving a signal only I can love. Cool! I haven’t pulled a war nickle yet!